HomeFeaturedCommonwealth Coverage: Is Valérie Létourneau the UFC’s First Women’s Flyweight Champ? A Championship loss in Sydney, Australia won’t be enough to keep Valérie Létourneau from making it back up the rankings. Commonwealth Coverage will put the spotlight on Canadian, British & Aussie fighters on or around our national holidays. November 15, 2015 was Létourneau’s first loss outside of Canada. Albeit just her second professional fight away from home soil, Joanna Jędrzejczyk handed the Montreal-native her first loss in over three years. At that point Valérie had won three straight in the UFC and seven of eight overall on her way to a title shot. However, as everyone has, she lost to the Strawweight Champion. Fast forward six-ish months and the Canadian is set to fight #11 strawweight Joanne Calderwood in the UFC’s first women’s flyweight bout. Is the UFC priming the veteran to be the first flyweight champ? There’s been speculation as to whether or not this is how Dana White wants to introduce a 125-division, either way, this should directly affect Letourneau’s standing in the straw weight rankings as well as her potential to be a 125-lb champion. Currently ranked #5, a win should set her up to battle either Tecia Torres or Rose Namajunas. The latter, still needs a “fight or two” according to Dana, and Letourneau could be one of those following Fight Night Ottawa. One can speculate that the loser of Jędrzejczyk v Gadelha should fight Carla Esparza (who recently beat up on Juliana Lima), or perhaps the winner of Esparza v Torres with the loser of that fight battling Letourneau. Let’s not get ahead of ourselves though, Valerie still has to beat Calderwood to get the chance, which is no easy task. The Scot is a high-volume striker, who routinely has gone the distance en-route to a unanimous decision, but decisions are how Letourneau won her first three UFC fights. While much of the discussion about a new women’s division has most recently centred around Cyborg and a 145 division, (with her latest victory over Leslie Smith seemingly a test to see how she handles a weight cut) that doesn’t mean there isn’t excitement over a possible 125 lb division. In my opinion, a seasoned-fighter like Valerie could head up a new division that many believe is ripe with possibilities, while simultaneously giving other fighters who have been on the back-burner another place to compete. Calderwood on the other hand, is comfortable at 125 and certainly would like nothing more than to be who the UFC turns to as potential champion. Calderwood feels more comfortable at 125 lbs. “In my second MMA fight I fought at 125 lbs and I just liked it because I didn’t have to go through the last ten pounds like I would have to cut for 115 lbs,” said Calderwood. Maybe there’s a whole slew of fighters looking to go to 125 or maybe these are the biggest names the UFC could find. 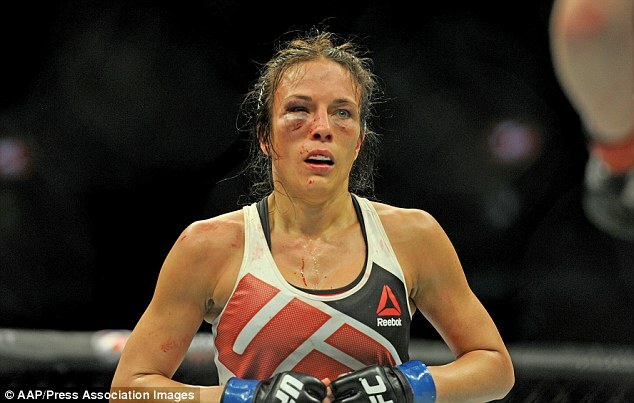 One thing is for certain though, women’s MMA has never been more competitive and exciting. On paper this fight looks like it will go the distance, however the extra 10 pounds could add some stopping power to both ladies, who each have four wins via TKO. If Letourneau does get the W, her next fight may put her back on track to strawweight gold.